The commonalities in these two aircraft crashes are uncannily similar. 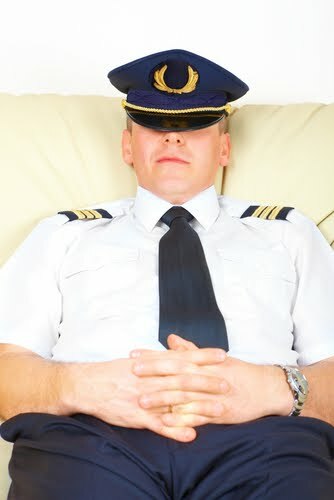 The pilots of Continental Flight 3407 were extremely tired and in a state of advanced sleep deprivation. They were also relatively inexperienced and poorly trained. These factors resulted in a breaking of the chain of elements that result in a successful flight. The pilots of Air France flight 447 were equally handicapped. The initial information released by the BAE (A European aviation investigation organization) and Air France indicated a very minor abnormality on the flight deck that related to an iced pitot tube resulting in erroneous airspeed. Unfortunately, as is the case in all too many aviation accidents, this was a recurring problem that had been identified by both Airbus manufacturing the aircraft and Air France, the operator of aircraft. It had, however, not been given the priority that it shouldn’t been given. The NTSB, after sifting through the ashes of Continental #3407, determined that improper manipulation of the flight controls, along with a counterproductive retraction of the flaps by the copilot, was the cause of this accident. They also cited poor or inadequate training. Flight crew experience, particularly in this new aircraft, the Bombardier Dash 8-Q400 also played a small role. Neither pilot of this aircraft had had adequate rest in the previous 30 hours. While this was, subjectively, but unquantifiable, the primary precursor, it was only mentioned as a contributing factor. A significant sidebar to this accident is the fact that the last six fatal domestic accidents with the US domestic air carriers involved regional carriers, or, as they are more commonly referred to, “commuters.” Four of these six accidents occurred when tired pilots in the cockpit were entrapped in an excessively long duty period. Nearly five years after the Air France Flight 447 accident, it was just recently revealed that the pilots assigned to this flight were also extremely tired. The captain had stated that he had only one hour of sleep during the previous rest period and his relatively inexperienced copilots—this was an augmented crew with one extra pilot—also were extremely tired when they began their projected long duty period (13 hours). As was the case with Continental # 3407, the Air France pilots were relatively inexperienced, but more importantly, they had no experience flying the Airbus 330 at high-altitude. The two pilots on the flight deck severely over controlled the aircraft and it entered into a deep stall. The airplane plummeted tail first, with the nose high pitch attitude of 35°, and engines at full power. It plummeted 38,000 feet to the ocean surface in three minutes and 30 seconds. The aircraft splattered into the water and 216 passengers and 12 flight crew members were killed instantly. A sadder chapter is that the pilots, and most likely all of the passengers and cabin attendants, were fully aware that the airplane was out of control and would soon be crashing. That awareness that your life will be soon coming to a very abrupt end, will most certainly create an unparalleled state of horror and emotional turmoil. These two accidents when evaluated by the NTSB, the FAA, and the BAE in the many pilots who have read and reviewed the accident information leave those aviation oriented folks in a state of disgust. Why had the Air France pilots never been trained to fly their aircraft and cruise altitude? Like Capt. Marvin Renslow of Colgan air infamy, the two pilots on the flight deck of AF 447 flew the airplane into a deep stall and maintained that catastrophe-inducing pitch attitude. In the AF 447 flight the captain arose from his designated nap, rushed to the cockpit—actually there was a significant delay—and stood on the flight deck repeating the mantra from the two seated copilots, “What’s going on here; what’s happening.” Continental # 3407 had two tired, poorly trained, inexperienced pilots in the cockpit. AF # 447 had three pilots in the cockpit. They were somewhat more experienced and perhaps better trained, but they all experienced the common thread of diminished performance capability as a result of sleep deprivation.